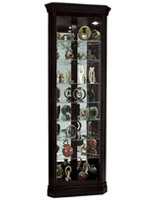 A No-Reach™ light located on the collectors' cabinet back to provide easy access to lighting. Adjustable floor-levelers to provide stability on uneven surfaces. 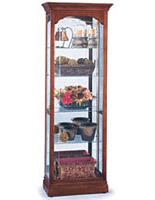 A side-opening glass door to provide easy access to your collectibles. 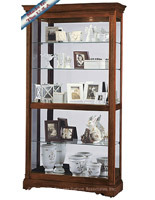 Seven glass shelves with Pad-Lock™ cushioned metal shelf clips add stability. 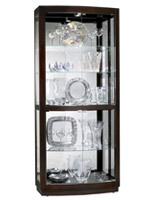 Full-length crystal-cut grooved glass gives an upscale appearance. Interior lighting showcases your items in a brighter, more natural light. 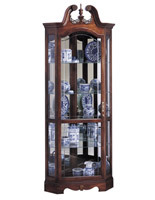 An elegant Windsor Cherry finish. 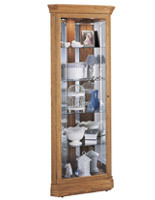 This collectors' cabinet is perfect for displaying many smaller collectors' items, with eight levels of glass display space. 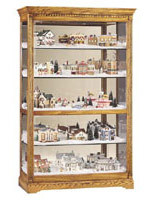 Small treasures, trinkets, and other collectors' items will be beautifully displayed and kept safe. 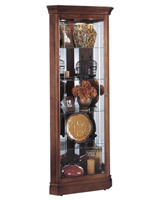 Because of its high quality craftsmanship, this display cabinet is the ideal collectors' cabinet to pass down from generation to generation as a family heirloom. 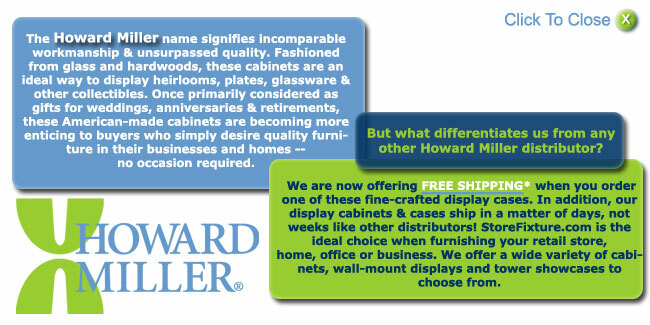 27.0" x 79.3" x 17.5"